There may be no more pressing question for you to ask yourself today. How would you answer? Many would say: "In the church where I was raised," or "Where there is warmth and friendliness." 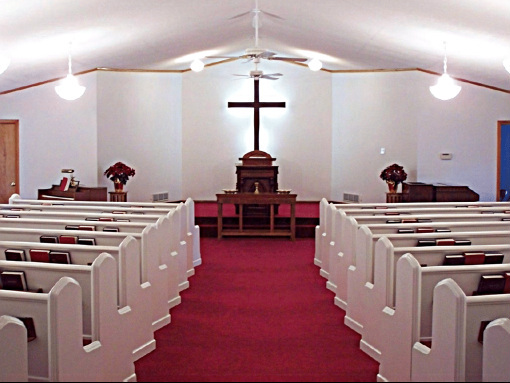 Others seek security in a big church or fellowship in a small church. Choirs, organs, active children, youth and adult programs, beautiful buildings and yes, even the personality of the preacher are primary considerations for many. First -- Faithfulness to God's inspired and infallible Word, the Bible, in doctrine and practice. Many churches today have strayed from this faithfulness. Second -- Biblically correct understanding and practice of the sacraments of Baptism and the Lord's Supper. Many churches add other rituals which they call sacraments while still others use the sacraments in ways inconsistent with their biblically intended use. Third -- Seriousness about the people there growing in their understanding and faithful living out the Gospel of Jesus Christ in every area of life. Many churches uncaringly and unlovingly allow their members to follow the path of destruction rather than trying to lovingly return them to the path of eternal life. This is where Faith Orthodox Presbyterian Church begins! We cordially invite you to come and worship the Lord with us each Sunday. Faith Orthodox Presbyterian Church is a Gospel believing Presbyterian Church. The Orthodox Presbyterian Church is an evangelical and Calvinistic denomination which believes and teaches that the Bible is the inspired and infallible Word of God to mankind for all ages and the only rule for faith and obedience.